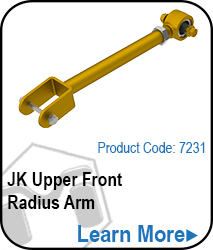 MetalCloak JK Lower Long Arm Radius Control Arms are precision engineered for all the flex, with undeniable strength, and provide the smoothest ride. 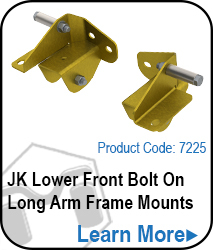 These Long Arms attach via MetalCloaks bracket system and work in conjunction with the Lock-N-Load upper control arm to relieve binding forces. Equipped with the proven MetalCloak Patented Duroflex™ (metalcloakpatents.com). 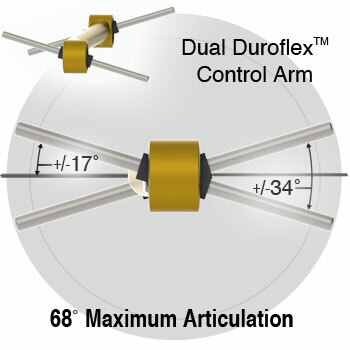 self-centering composite bushings at both ends for a combined misalignment of over 68 degrees. 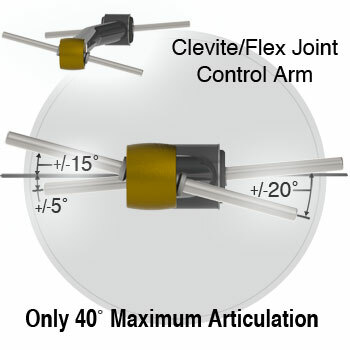 Yes, the Radius Arm is back and better than ever! Fits ideally into the space under the JK Wrangler with the least modification. Aids in the protection of the vital components of the under carriage. Allow maximum up and down wheel travel with minimal wheelbase change. Unparalleled on-road handling characteristics that cannot be denied. But Radius Arms of the past typically have a major problem... BIND. 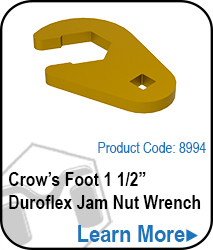 This bind causes premature bushing wear and undue stresses on the axle. MetalCloak Radius Control arms are engineered to work exclusively with the "bind relieving" Lock-N-Load" upper control arm to provide all the benefits without the drawbacks. Great clearance for up and down travel under the JK Wrangler. Aids to the protect the vital components of the under carriage. 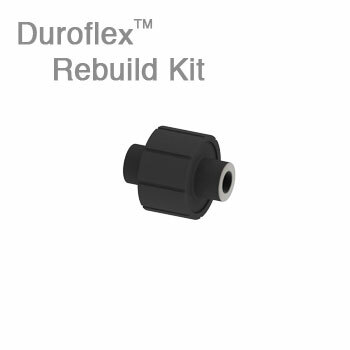 Allows maximum up and down wheel travel while keeping the pinion angle in check. Has unparalleled on-road handling characteristics that cannot be denied. 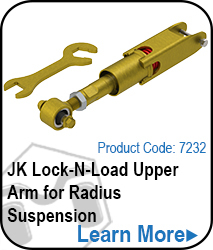 MetalCloaks Lock-N-Load Radius Arm system removes the typical problem... BIND.